Spa-pool systems are a recognised source of diseases caused by infectious agents including the organism that causes legionnaires' disease, primarily Legionella pneumpohila. There have been a number of outbreaks linked to spa pools in leisure centres, hotels, holiday homes, on cruise ships and on display. 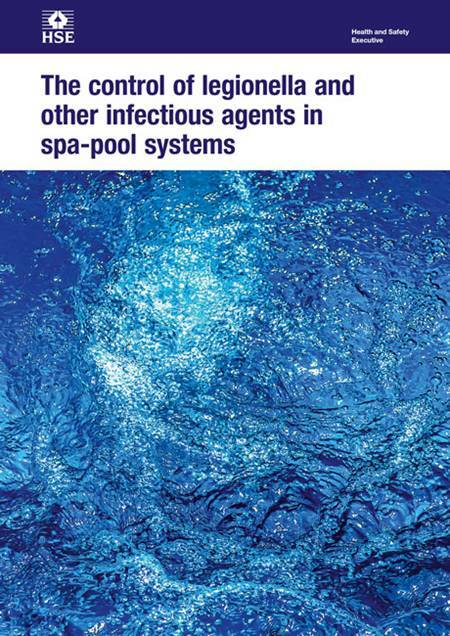 This guidance, is primarily for those who manage or operate spa-pool systems and explains how to manage and control the risks from legionella and other infectious agents. It will also help service suppliers, designers, manufacturers, importers, suppliers and installers of spa-pool systems meet their legal responsibilities. Included is practical guidance on how to assess and control the risks of exposure to legionella and other infectious agents to staff, users, and anyone else potentially exposed to the spa-pool water or aerosols from it. Other water systems, including evaporative cooling systems, hot and cold water systems and other risk systems, also need to be managed under health and safety legislation. Further information is provided in other guidance - see below for details.